Demarchelier Restaurants gourmet dining experience captures the essence of an authentic French bistro. This season’s signature dishes include Terrine de Foie Gras with Toast Points, Avocado Crab Salad or Steak Tartare for an appetizing start to a full course dinner. Delicious entrees taking your palate on a journey through France include the expertly crafted Duck a L’Orange, the rich Cassoulet or the classic Coq Au Vin. The dessert menu boasts an assortment of sweet treats including the Crème Caramel (Flan), Profiterolles with chocolate sauce and Crepes Suzette with Grand Marnier. Demarchelier’s classic menu items are coupled with organic selections to accommodate various dietary considerations. 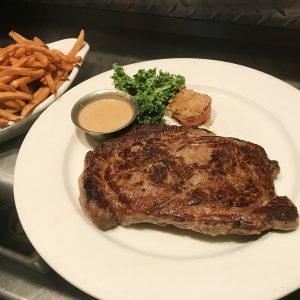 From farm-to-table, even the most health conscious diners will find that natural, grass-fed, organic options are just as savory, and decadent as popular French cuisines served at Demarchelier Restaurant. The traditional French menu is paired perfectly with a wide range of predominantly French wines. The French bistro welcomes patrons on weekends to enjoy brunch, French-style. 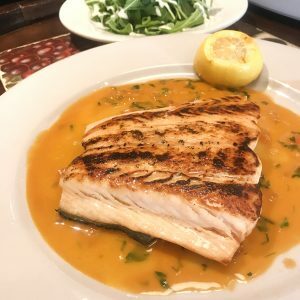 Signature dishes include Smoked Salmon Plate, Pancakes (Blueberry), French Toast, or Organic Omelets served with a choice of cheese/mushrooms/ham/spinach; and Organic Eggs Benedict served with a choice of Salmon or Ham. The extensive a la carte menu features an abundance of the finest menu items at the Upper East Side eatery. 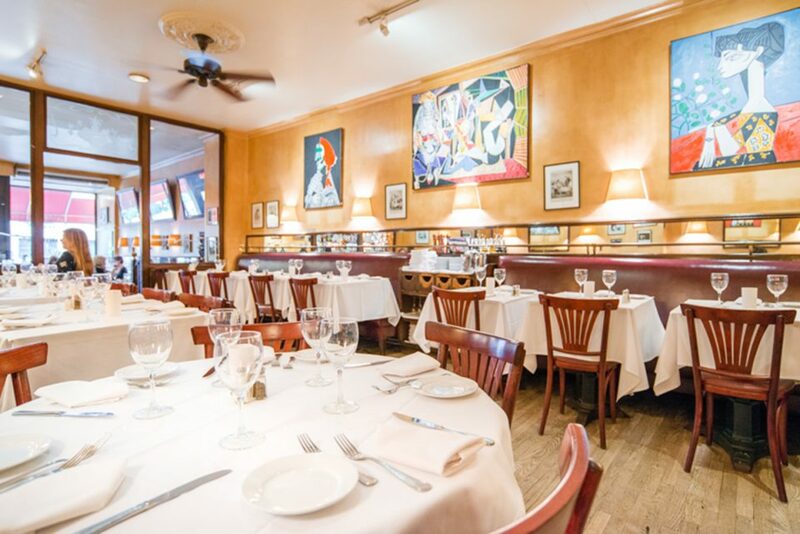 Affectionately known as an intimate gathering space for art lovers, family and friends will love Eric’s rotating collection of artworks displayed on the walls of Demarchelier Restaurant. Paintings are available for sale per patron’s request.